In the world of wine there exists a special type of mould, which is responsible for producing some of the finest sweet wines in the world. This mould is known as Noble Rot or Botrtis Cinerea. Whilst this might sound and look rather disgusting, the outcome is delicious! In special weather conditions, usually humid mornings and sunny afternoons, noble rot starts to spread across the grape bunches. The fungus attacks the surface of the grape, piercing the skin and causing water to be lost through evaporation. Dry sunny afternoons then helps to restrict the fungus causing the grapes to dry and shrivel to a raisin state. This process concentrates the sugars of the grape to very high levels, allowing you to produce a lusciously sweet wine. The fungus will also cause reactions to happen that impart flavours, the prominent one being honey. 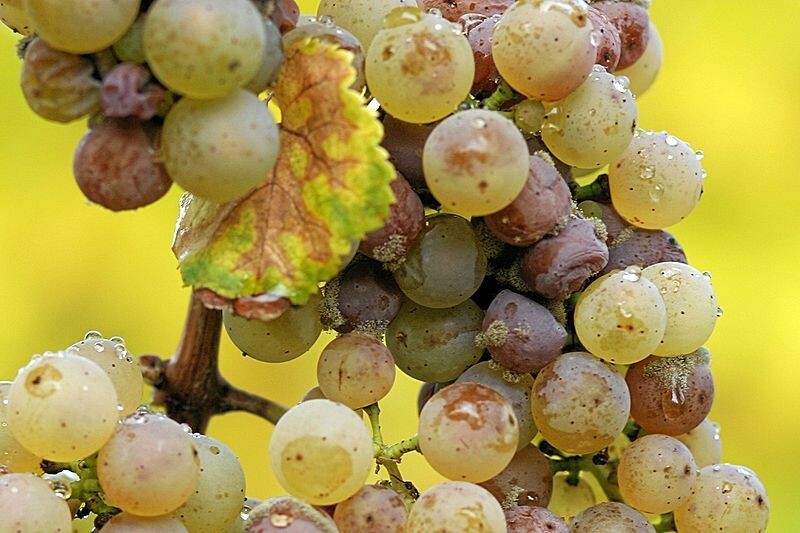 Botrytis will affect each bunch and grape differently, which is why it is necessary that the grapes have to be hand-harvested to select only the nobly rotted grapes. Often several pickings will happen over the harvesting period, making it a laborious and expensive wine to make. The result is a golden, sweet and concentrated dessert wine. Examples of botrytised wines include Sauternes from France, Tokaji from Hungary, Beerenauslese and Trockenbeerenauslese from Germany and Austria. One of the most famous dessert wine regions in the world is Sauternes and the grapes are affected in example this way. The grape varieties used are Semillon, Sauvignon Blanc and Muscadelle. Sauternes is one of the few regions where noble rot is a frequent occurrence due to the mist from the produced from the nearby rivers Garonne and the Ciron. The Sauternes Chateau D’Yquem is the greatest dessert wine from this region. In the Bordeaux Wine Official Classification of 1855 it was the only Sauternes to be given the highest rating of Premier Cru Supérieur. It is matured in barrels for up to 3 years, develops enormous complexity and will age amazingly for decades. Their yields are so low, that one vine will produce one glass of wine! 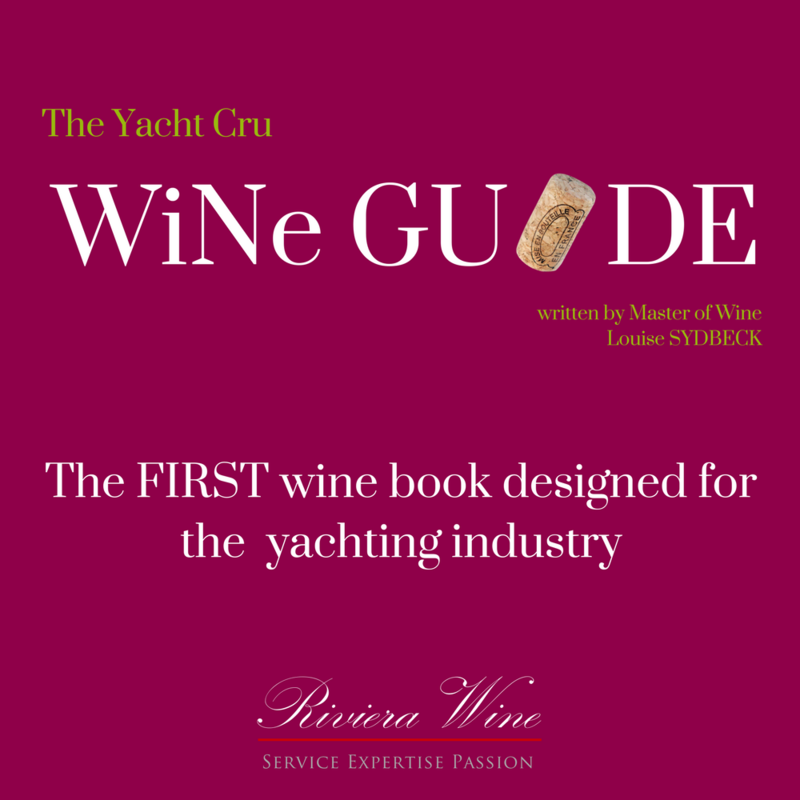 It's a shame that sweet wine can sometimes be overlooked on yachts and too often guests will be drinking leftover red or white wine with their dessert. Sweet food really needs sweet wine, otherwise the wine will taste sour and the dessert does not show its full potential. As well as matching perfectly with desserts, sweet wines are also wonderful with cheese and Sauternes with Stilton is a very classic match. If you want to find out more about food and wine matching then you can read our article here. If you would like any advice on sweet wines or matching wines with desserts, let us know. Jan 15 Moët: Mo-aye or Mo-wet?